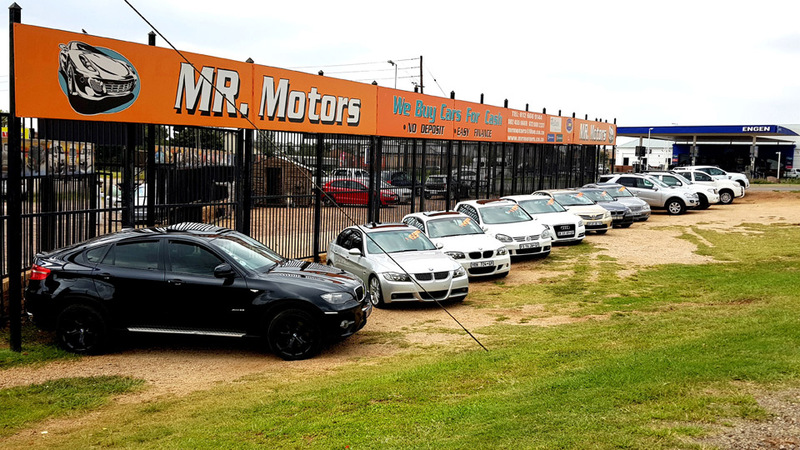 Mr Motors is a leading Motor dealership in Centurion providing top quality pre-owned vehicles, and back-up services to match the quality of these vehicles. Mr Motors has successfully grown to be a motor dealership in its area specialising in outstanding service and customer satisfaction. Mr Motors offers their clients peace of mind with a trouble-free vehicle purchasing process. We are sympathetic to the anxiety that vehicle transactions normally bring clients and offer our professional solution to make sure that this is not the experience that our clients encounter. Mr Motors ensures that our clients are purchasing high quality and reliable pre-owned vehicles by guaranteeing that each and every car undergoes a quality check before it even enters the showroom. All vehicles leaving the Mr Motors showroom are covered by the appropriate warranties. A number of after-purchase and value-added products and services are offered to Mr Motors clients, whether you are seeking repairs, servicing, parts, accessories or insurance – we have a solution to suit your automotive needs. Mr Motors is a registered national credit provider. Complete our Finance Application to see if you qualify purchase your next Car from Mr Motors. With great responsibility comes great Customer satisfaction. We strive to deliver the best possible service when it comes to our Customers from start to finish.